Every cloth has its time. A cashmere coat in the winter, a linen jacket in the spring and barathea for that special occasion. All our cloth is sourced from the top cloth merchants, using only the finest British and Italian mills. 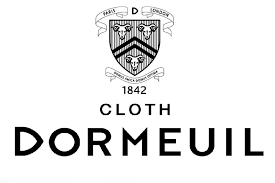 During its 170 years of history, Dormeuil has been producing the finest fabrics on the planet, blending timeless British elegance with a touch of French chic. With an undoubtable reputation, Dormeuil is the choice of kings, presidents, Hollywood stars and connoisseurs from all over the world. Since 1938, renowned cloth merchant Scabal has sold only the finest of luxury fabrics made in their English weaving mill. Scabal believes that when it comes to tailoring everything begins with cloth. For over 75 years they have stood at the forefront of innovation and sophistication in weaving. They are considered one of the most prestigious mills in all of Europe and are highly sought after. Caccioppoli offers a timeless collection that perfectly expresses the taste of the elegant style of a Neapolitan. Caccioppoli is located heart of the historic center of Naples and has become a landmark for everyone, Italians and international sartorialists globally, who are lovers of bespoke tailoring and elegance will definitely have come across Caccioppoli’s beautiful ranges. Holland & Sherry has provided the apparel industry with the finest fabrics for almost 200 years. From its inception in 1836, when Stephen Holland and Frederick Sherry began as woolen merchants in London, Holland & Sherry has specialized in the finest wool and silk cloths, establishing a reputation for providing superior fabrics to the most prestigious tailors and luxury brands around the world. With their base in the heart of Yorkshire suit fabric industry and over a 100 years of experience, they specialize in English cloth merchants providing genuine English cut length cloths. They are also cloth merchants of choice for the entertainment industry, with their fabrics making frequent appearances on screen. Harrisons recently acquired Smith Woollens & Co, and W.Bill, which promises to be another exciting chapter in the company's history. Men’s suits made with premium Italian fabrics, as per the finest of sartorial traditions. 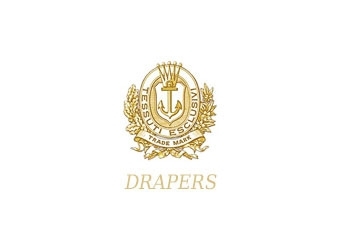 Drapers, a 100% Italian company, is a distributor of exclusive fabrics, which are exceptional in terms of the raw materials used, processing quality and distinctive style. They provide meticulous insight into the necessities of the modern man in full respect of the past. Huddersfield Cloth is one of the few remaining cloth merchants still operating in the heart of Yorkshire's suit fabric industry. They supply the finest cloth in Britain to the best tailors, designers and fashion houses around the world. British inspired, with a touch of eccentricity, the Thomas Mason collection is characterized by double twisted fabrics, which are crafted using only the finest yarns from the extra-long staple Egyptian cotton. Hardy Minnis provides iconic British-made fabrics to top-class tailors who value time-honoured ways and a knowledgeable, reliable service. They hold a Royal Warrant, granted by Her Majesty Queen Elizabeth II and are proud of their British manufacturing heritage. Combining innovation in their designs and tradition in their outlook, the Hardy Minnis brand is the epitome of British elegance with global appeal.